THREE days into 2019 and despite the fine weather I still haven't made it out of the starting blocks. It would seem I am still suffering from a giant hangover. Nothing to do with festive over-indulgence, more an overdose of night walking. The accumulative effects of planning and climbing Munros on each of the 13 full moon nights last year has finally caught up. Since arriving home from the far north after the Cold Moon ascent of Ben Hope on December 22, I have struggled to navigate my way out of bed before 10am. It hasn't come as a major surprise – I often go into semi-hibernation mode for a few weeks around this time of year. What did surprise me, though, was how the focus on the night project skewed my perspective of the year's walking. Turned out that I spent more time on the hills in 2018 than ever before. The tally, while not hitting the heights of previous years, was still impressive enough, but it was the sheer variety of the walks that proved particularly pleasing. It started well. 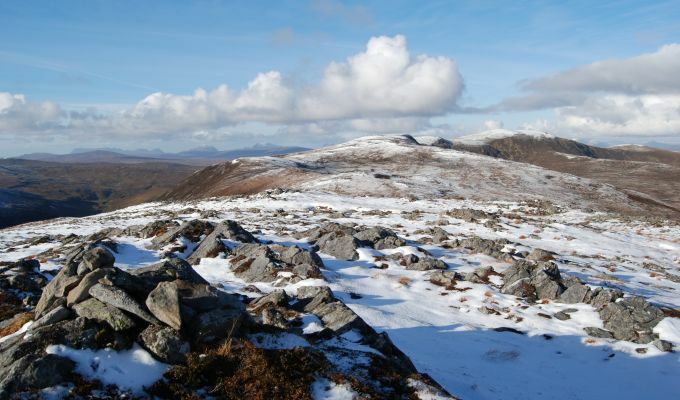 Winter brought decent snow cover and some memorable traverses, notably in Glenshee and Arrochar, and the late lying snow paved the way for great days out under blue spring skies in the likes of Ardgour, Torridon and Caithness. Then the summer heatwave drifted in, epic days and nights in Glen Affric, Glen Coe, Loch Arkaig and Moidart. Autumn proved typically more unpredictable, the shifting weather patterns meaning no two days were the same, but that just added to the atmosphere for outings in Skye, Glenelg and the North-west Highlands. It looked like we might have an early start to winter during ventures into the big glens of Strathfarrar and Alladale, but it was short-lived and the year ended in benign fashion with crisp mornings and beautiful sunsets in Torridon and Applecross. Squeezed in amongst all this were three film shoots; one for Canon in Glen Coe, another with the Landward team for the Flower Moon on Ben Lawers, and the third on Buachaille Etive Mor for a Dutch television travel show. There were a few pleasant surprises. 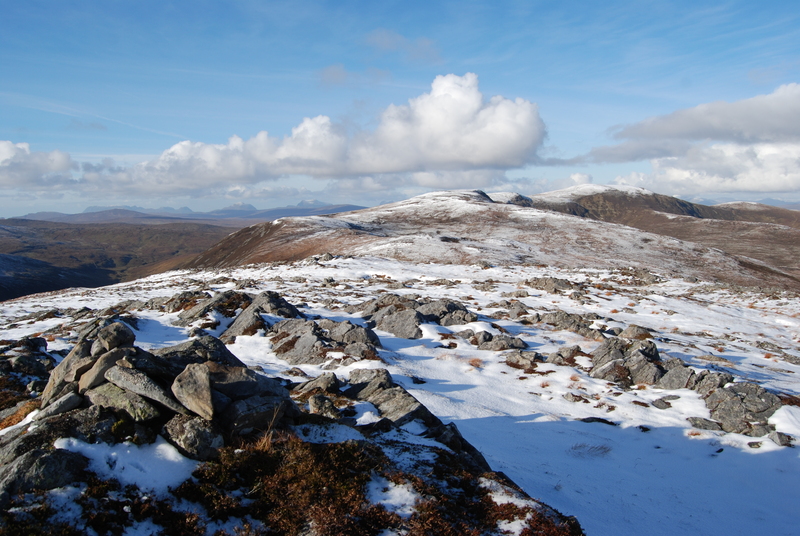 A grand circuit of Sgurr na h-Eanchainne on iron-hard snow and a sunset ride on the Corran Ferry; the long ridge of Beinn nan Ramh with the dark blue of Loch Fannich spilling into the distance like a knocked over ink well; late season shafts of light like lasers over Ladhar Bheinn; a double rainbow arch at the entrance to Skye's Coire Lagan. It may have been that there was so much going on, I wasn't really paying attention. The spontaneity was certainly gone, a rigidity taking its place. Everything seemed planned to the smallest detail. When one night walk finished, the focus immediately turned to the next, and whatever happened in between passed largely unnoticed. I continually felt I was missing out on something, but it was only when I stopped to take a breath and a leisurely look back I realised what a good year it had actually been. The commitment to the 13 night walks always had to be the priority, specific mountains with set times and dates. But I was also keen to run down the numbers of remaining Grahams and Donalds, so I made an early decision to 'park' my outstanding Munros. I still managed to climb 65 Munros and only have 60 left to 'compleat' again but it's unlikely I will get there this year. A fourth round of Munros has become less important than a Full House, the completion of the six main hill lists. There is also the small matter of a book to write but I'm excited about the mountain year ahead. With any luck, the Full House can be achieved. Half of my remaining Grahams are on the islands, so that means trips to Rum, Jura, Mull, Harris and South Uist. Any mountain day which involves a ferry trip is special. 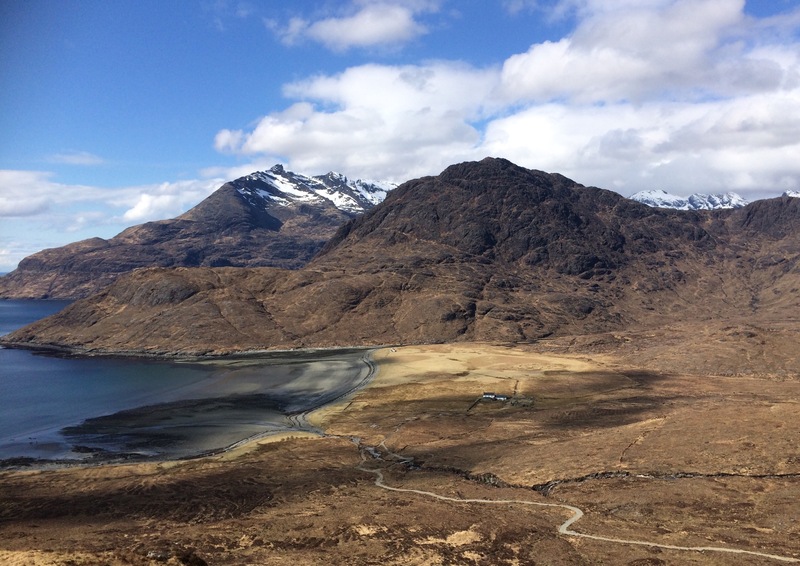 There are epic walks deep into the hearts of Morar, Monar and Knoydart, a 45km trek in the Big Sky Country of Caithness, outstanding Tops that necessitate re-ascents of Liathach and Ben Nevis, a week based in the Cairngorms, and a weekend at the mountain festival in Arran. It's a year that holds plenty of promise, and, after the rigours – real or imagined – of last year, it will be nice to feel relaxed and enjoy every minute. I hope 2019 proves to a year of adventure for you all. Happy walking.